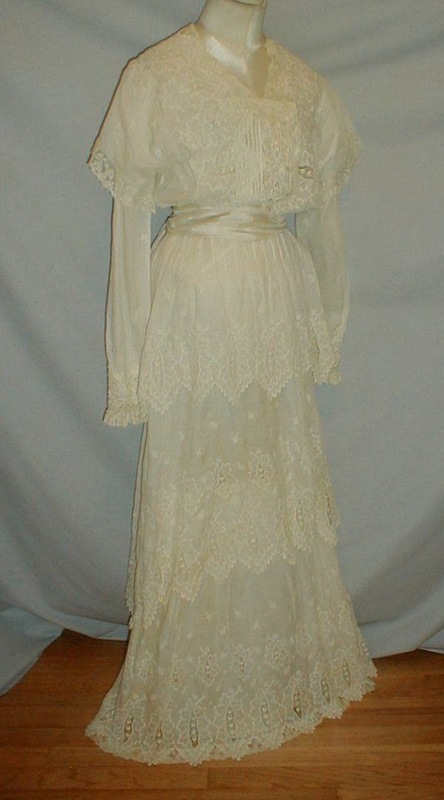 A beautiful 1912 Edwardian white cotton embroidered dress. The dress is embroidered with a large leaf patter. The centers of the leaves have open work lace. 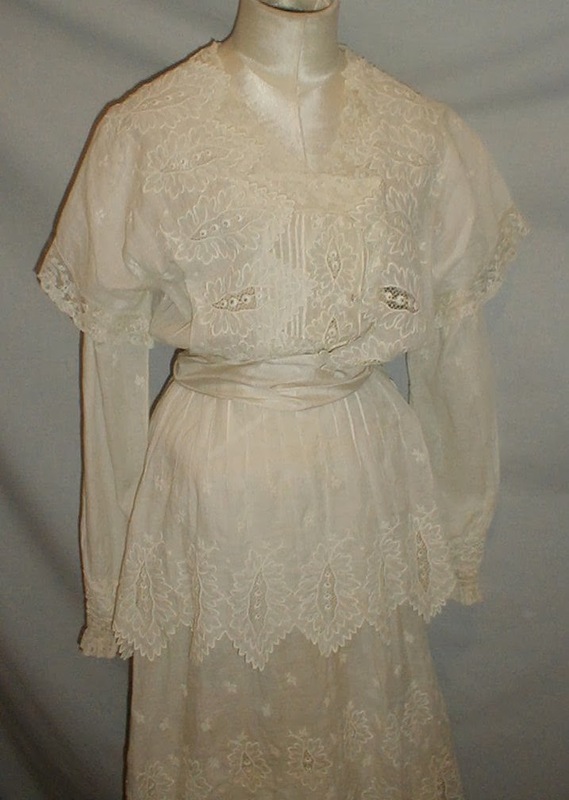 The bodice has a raglan style and long sleeves. 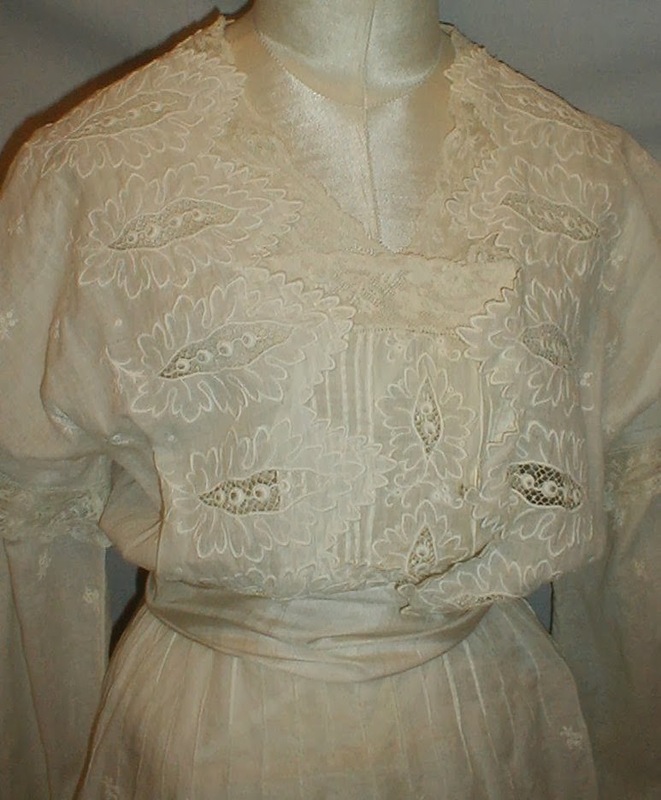 The bodice is lined with net lace. The skirt is designed with three tiers and each tier has a scalloped edging. 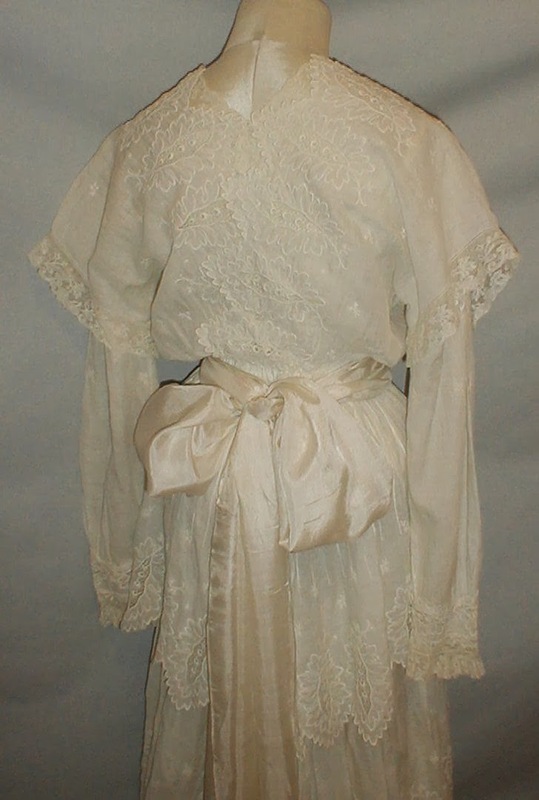 The skirt is lined with net lace. The bodice has a front snap closure and the skirt has a side closure. The dress comes with a separate silk tie belt. The dress is in crisp and clean condition. There is no underarm discoloration and just one tiny pencil tip size hole on the side of the bodice. Bust 32 Shoulders 15 Waist 22 Skirt length 40. I'd actually place it a year or two earlier because of the sleeves. Still, a lovely Edwardian piece!